The chairs of two key Vermont Senate committees say they are working out a plan to give workers in the mental health system a long-overdue bump in pay, and that Gov. Phil Scott is — at least in principle — on board. 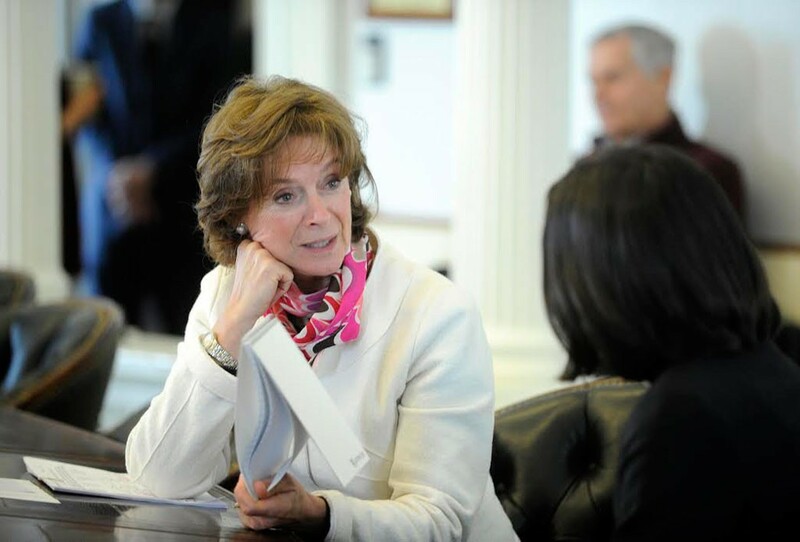 “We have a plan, we’ve got a bill, we’re closing in on exactly how much money we need to do what we want,” said Sen. Claire Ayer (D-Addison), chair of the Senate Health and Welfare Committee, after emerging from a closed-door meeting with Scott Friday morning. There’s broad awareness that the entire system is in shambles, with inpatient bed shortages, patients lingering for days or weeks in emergency rooms and low pay for mental health workers. Ayer’s committee has approved a bill calling for a variety of studies, with an eye toward identifying longer-term fixes in 2018. In the meantime, the bill would establish a minimum $15-an-hour pay rate for all designated agency staffers. Earlier this week, Senate President Pro Tempore Tim Ashe (D/P-Chittenden) vowed that the pay issue would be addressed. The price tag was originally thought to be $30 million, but that’s been pared down to less than $15 million because at least half the money would come from federal matching funds. That reduced figure was presented to Scott Friday morning. Kitchel was loath to give a precise figure, but estimated that $16 million would be federal — making the state responsible for roughly $14 million. Her committee will look for ways to further reduce the figure, make it as “manageable” as possible, “and make sure we’re putting the money where the acute need is,” she said. Possible options for reducing the cost of the wage fix include phasing in wage increases over time and trimming budgets in other areas of the system in anticipation of lower expenses if the staffing crisis eases on the front lines of mental health care. Postscript: Friday morning’s meeting with Scott was supposed to include all five members of the Senate Health and Welfare Committee, and was listed on the panel’s official agenda. But when the five senators gathered outside Scott’s Statehouse office and saw Your Correspondent waiting outside, they went into a brief huddle with Ashe’s chief of staff, Peter Sterling. Ayer then entered the governor’s office. A few minutes later, she came out and announced that the meeting would include only her and committee vice chair Ginny Lyons (D-Chittenden). The other three members were sent away. “We just want to have a discussion with the governor, okay?” Ayer said. “So did I cause this?” I asked. “Yes, you did,” she said in a cheery voice. “So it’s not a quorum,” I said. “It’s not a quorum,” Sterling echoed.